This kinds bearings working together with TC bearings in the downhole motor. shock loads, and they are also exposedwith highly abrasive mud. Bearing Assembly of Downhole Motor is used to transmit motor rotary dynamic force to the bit, meanwhile to withstand axial and radial load from drilling weight. Inside of the Bearing Assembly,Monton uses TC Radial Bearing and a stacked thrust bearings. 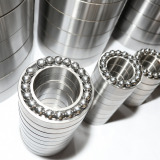 The thrust bearings support the downward force resulting from the “weight on bit” (WOB) and the loads from the combination of hydraulic thrust and weight loads from internal components.Monton provides different bearing assemblies, designed to meet the diverse requirements of the drilling industry. 1) Bit nozzle pressure loss is 7.0 Mpa, Monton uses a stacked multiple balls design for the thrust bearings. 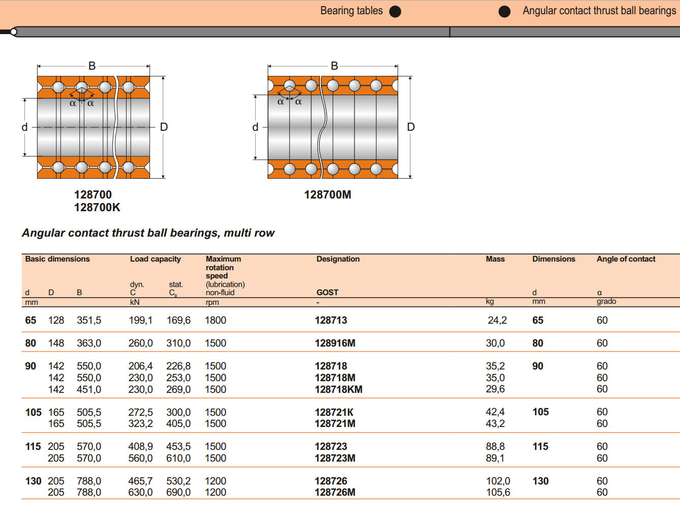 The thrust bearings support the downward force resulting from the “weight on bit” (WOB) and the loads from the combination of hydraulic thrust and weight loads from internal components. 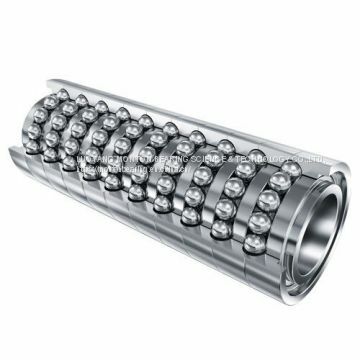 Rolling element bearings, or ball bearings, have conventionally been used to react thrust, or axial, loads in downhole mud motors. When low rpm power sections are used in the application such bearings provide suffcient life and reliability. However, bearing component fatigue causes life to decrease linearly as speed increases; fatigue makes ball bearings unsuitable for high rpm motors. In addition to life, friction and horse-power losses are often of interest in drilling. 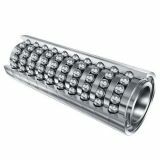 Ball bearings are referred to as frictionless bearings due to the rolling nature of the elements; however in practice frictional losses exist duo to rolling resistance and sliding. An order of magnitude approximation of the coefficition of friction (CoF) for an angular contact bearing operation in ideal non-abrasive lubricant conditions is 0.0032. In drilling mud, the CoF can be assumed to be significantly higher. 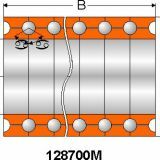 INQUIRY ABOUT Mud Stack Thrust Bearings Mud Motor Bearings for Downhole Drill 128713KLUOYANG MONTON BEARING SCIENCE & TECHNOLOGY CO.,LTD.